Experience a fresh new way to create music using your thumbs. With its pocket size, its animated graphics, real synthesizer engines, sync, punch-in effects, built-in speaker, alarm clock and impossibly low price, making electronic music has never been this much fun. The PO-14 sub bass line synthesizer and sequencer features multiple real synthesizer engines, including fm, subtractive synthesis, wave table and physical modeled string, 6 punch-in effects including delay, bit crusher and filters, 16 punch-in bass oriented play styles, parameter locks, punch-in effects and more. Pocket operators are cleverly designed on a single circuit board. By placing all vital and sensitive components under the LCD display there's no need for an outer case, which saves costs and leaves room for high quality components to guarantee the best possible sound and very low power consumption. The space under the display also doubles as a speaker box. 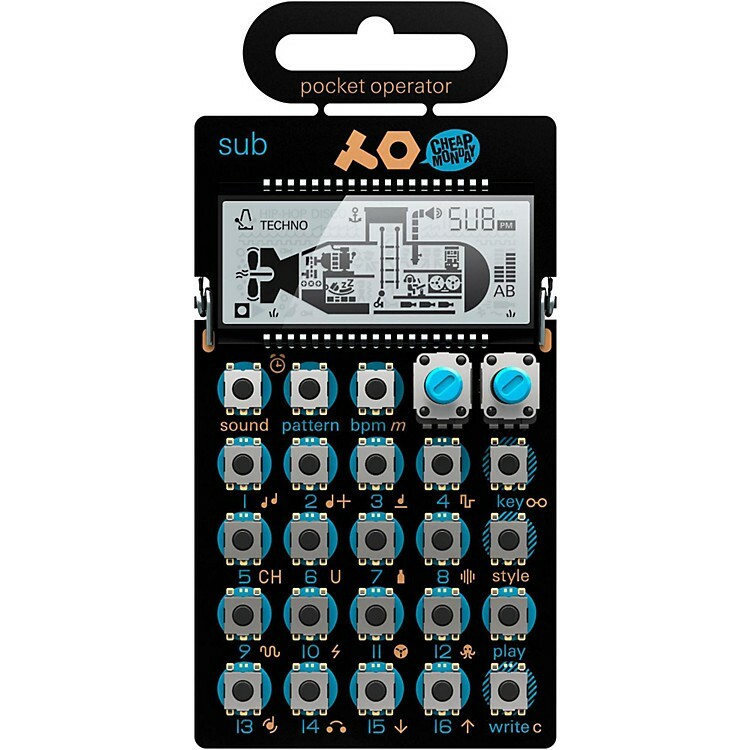 Order the PO-14 pocket sub bass synth today!